Posted in: Blessed Mother, Catholic Life, Catholicism, devotions, Marian, Mary, Mother of God, sacramentals. There may be a run at the Scapular store because so many of us (myself especially) fall into this category. Thanks for your comment, Laurie. Devotion to Our Lady has made a HUGE difference in my life. Although I’m still far from perfect, I can only imagine just how bad I’d be if she wasn’t helping me! Wonderful comments Gary, many thanks. I wear my scapular at all times. It is, to me, a shield as mighty as that of St Michael. And, lets face it, to not take advantage of the wonderful graces and promises made to Saint Stock with respect to the wearing of the scapular from Our Lady, would be absolutely crazy. Thanks for your comments, Walt. I agree that it would be crazy to not take advantages of the wonderful graces and promises attached to the wearing of the scapular. Unfortunately, I was “crazy” for many years and didn’t wear it. Now that I’ve come to my senses, I want to share the news with as many people as possible! I wear a brown scapular because Our Blessed Mother offered it to us and She wants us to wear it, also because I know She is a powerful and loving Mother and will never abandon us. I was a cradel Catholic, being Baptized as an infant however my Mother has a chip on her shoulder with The Church and all “organised religion” so I was never allowed to got to Catechism or any other Church related teachings. She taught me that Jesus was a great man, but she saw no reason to be a part of a group. I spent my younger years in an Irish/Italian neighborhhood being left behind by my friends going to Catechism. As I grew into adulthood I explored many different religions from old Irish traditions to Budhism. At 33 years old I finally went through RCIA and received my First Communion and Confirmation last year. My Parish Priest, Fr. John Kirk urges us to wear the scapular and to understand our relationship with The Blessed Mother and I am proud to were my Brown Scapular and when someone questions it I am more than happy to share the joy that I feel by wearing it. I know that some of them think I’m weird, but that certainly has never stopped me anything. Good for you, Jonathon! Accepting Mary as my mother has brought me closer to Jesus than I ever thought possible. I wish that I wasn’t so stubborn and did it many years earlier! I was drawn to ask my husband to wear a scapular before he deployed to Afghanistan. I had the same misgivings towards the practice, but things kept on nagging at me to ask him despite my lack of understanding. When we went to the Catholic store to pick one out, he looked at me and asked in a surprised tone “well, aren’t you going to get one too?” to which I sheepishly responded, “you’re the one with the dangerous job…” realizing how silly my response was, I picked on out, and we were able to have them blessed by Fr that same day, the day before he left. He was KIA 2 months later. Though his rosary is lost somewhere over there, they did return his scapular, the cord from which I can often pick out around his neck in the photos from when he was over there. Nothing compares to the consolation of knowing that his final moments were in the arms of Our Blessed Mother, and I am forever grateful to Our Lady of Mt Carmel for this gift. What a touching story, Ann…thank you for sharing it! I’ll keep you, your family and the soul of your husband in my prayers. OMG Ann, very sorry for you and your family. Will be praying for you and yours. You made me cry but thats ok i needed too. It makes me think that every time i send a box of rosaries over to our troops that the blessed mother will protect and guide. God bless and keep your head high. As a surgeon in Iraq, I saw several young men whose only connection identifiable to the Church was the scapular they wore. Fr. Simpson, the Navy chaplain in Al Asad with us, was always there and the men were always Annointed. Sometimes during surgery but always before death. Of note, several young men wearing scapulars had ID tags not identifying them as Catholic. 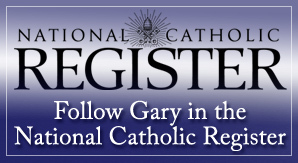 This came up enough that I can only encourage young folks entering the military (and the more senior folks who counsel them) LIST YOUR FAITH AS CATHOLIC! Check your dog tags and make sure the priest knows who you are. There is a role call in Heaven, don’t be AWOL for the formation. Good question, Robyn. According to the book, The Scapular of Mount Carmel, for the main promise of the scapular (that of being preserved from hell), there are no special conditions other than receiving the scapular with the right intention and wearing it at the moment of death. To benefit from the Sabbatine Privilege (delivery from purgatory on the Saturday following death, the Little Office (or the rosary, as prescribed by a priest) is one of the requirements. In a blog early today, the very reliable Father Z., however, concluded that the Sabbatine Privilege is most likely no longer in effect. You may want to check with a priest, but I don’t think you’d be wearing the scapular unworthy if you did it with the right intention. That link is the correct information on how it stands in the Church today. Older information or informtion from Fatima sites is NOT accurate (I have never, ever seen a Fatima site that teaches the current correct information and ritual for the brown scapular) A significant change is that now if the person is not joining an actual canonically established confraternity group the ritual does NOT refer to the confraternity. However, where such a group exists its members can earn plenary indulgences on several different Carmelite feast days. Other scapular wearers, however, cannot. Also, particular prayers are not mandated but you are required to practice Carmelite spirituality at least in a minimal form of devotion to the Eucharist and to Our Lady. St John of the Cross and St Teresa are my favorite saints and I always wear my scapular to be close to the Carmelite Order and under the loving protection and gudiance of Our Lady in her role as patroness of the Order. Thanks for that helpful information, Elizabeth! I remember that doctrinal statement some time ago, but couldn’t remember where. I really appreciate the assist! This is essentially the Sabbatine privilege without the promise that the Virgin descends into Purgatory on the Saturday after one’s death to liberate the soul. The Sabbatine Promise is MARY’S Promise. & I can tell you – on the Saturday after my mother’s death (at 95 years of age), I went to the vigil Mass. After receiving Holy Communion, as I returned to the pew, I saw my mother in the arms of Jesus. They were both esctatically happy. Jesus showed me that my mother was safe with Him. Mom wore Mary’s Brown Scapular through life & at her death. Here was the Promise fulfilled. Trust Mary; not theological quibbling. My luggage is tagged, so it is obvious to whom it belongs. With the brown scapular, I am tagged so that I remember to whom I belong. Mary, our Mother, always leads us to her son. I was told the same thing you said, when I was enrolled. I also was told in grade school by a nun that a person who dies wearing a scapular will not suffer eternal fire. If you are the Michael Brown of Sprit Daily…You may remember, I wrote you about my mother who died in Jan. of this year. I believe the promises of the brown scapular are real. Mom always wore the brown scapular, after her fall and up to here death. Even though she could not say the rosary, because of brain trauma and a stroke her last year or so. I tried to say it for her, especially those lsat few days. As she was dieing I asked Jesus to let me know somehow that she was in heaven. She died early on a Saturday morning, and within a few days I begain to wake up each morning with two different Christmas Carols already in my head, playing away. For the life of me I can not remember them both. This has given me peach and verification. I too would never be caught dead with out my scapular and have even placeed a similar statement in my living will. this is my faith to mother mary,because she is my mother.god bless you all. Scapular medals may be worn in place of a scapular, so long as they are blessed and worn in the same manner. The Scapular medal is really only to be used in places of High heat and humidity which can fray the woolen Scapular, and if it is worn just as a fashion choice, that would be wrong. There are zero miracles attributed to The Scapular Medal, and countless ones attributed to the Wool Scapular. I agree that if i was living in a hot humid place that could really fray a wool scapular, I would think about a medal one, but that would be the Only way I would ever think about it. It points out that the scapular is no longer required to be wool, and is most appropriately plain, unadorned brown cloth. It should NOT be labeled with the so-called “Sabbatine Privilege.” In 1619 the Holy See admonished the Carmelite order not to preach this doctrine, because it was determined that it had no historical foundation and the decree which established it was therefore also unfounded. Whenever I am asked by someone who sees my scapular “what is that you are wearing?” or “Why are you wearing that?” – I answer them quickly and with a big smile – “It’s my FIRE INSURANCE” I tell them! And this will often start a friendly conversation which frequently leads to one more person wearing the Scapular of Our Lady. Excellent point, Louis! Thank you for sharing it and thank you for promoting devotion to Our Lady! Have you considered wearing your scapular at night also? I’m afraid I might die at night from a heart attack or something.I wear my scapular everywhere and all the time except in the shower. That’s a very good practice, Mark, and I admire your love and devotion for our Blessed Mother! Wearing the brown scapular brings me so much joy, comfort, and peace. 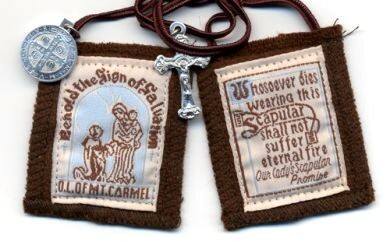 I have been wearing my brown scapular for more then 20 years now. I can not go any where without it. Another thing that I do is to Consecrate myself to Jesus thru Mary by using the St Louis De Montforts method each year. There is a 33 day novena that is said before a feast day of Mary. You should also read True Devotion to Mary by St Louis De Monfort which explains this devotion. You will find that giving everything to Mary will bring you closer to Our Lord, His Father, the Holy Spirit and all the Saints. Mary shows you her family. They become your family too. For reliable information on the Sabbatine privilege please go to this site. For the woman above who questioned the Papal Bull and called it fake, please do your research a little more thoroughly. This is totally untrue. But I just need to add that I agree that this is not a “get out of jail free card”. It requires a lifestyle choice and a devotion to Our Blessed Mother Mary. Yet, do not be deceived the devil hates the scapular and will try to keep people from wearing it. Please arm yourselves with this most wonderful garment and shield of love in your life! God bless. 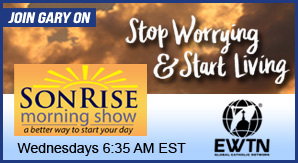 Thank you so much for your article, Gary! My wearing the scapular has led me to join the discalced carmelites secular and I have just received in Feb. the woolen scapular that one wears on the outside (about a foot sqaure) during carmelite days of prayer, retreat, funerals, etc. The idea of tagging my suitcase with a scapular is such a good idea, as She, my Mother and Sister, will protect not only my person but also my travels in Sept.! Praised be Jesus Christ! Everything in the BIBLE and especially the GOSPELS is TRUE. THE MERCY OF GOD can be witnessed by this: PAM ,BRETT and I do not have the human stength to bear this. THE MERCY OF GOD IS THE POWER OF THE HOLY SPIRIT TO OVERCME UNBEARABLE BURDENS. (ever say God’s Mercy made me strong , gave me strength). THE GRACE OF GOD IS THE POWER OF THE HOLY SPIRIT ,LEADING YOU THROUGH THE OBSTACLES OF LIFE. (ever say the Grace of God got me through). CALL ON THE TRINITY,ASK GOD THE FATHER who art in Heaven, GOD JESUS ,OUR REDEEMER , TO ASK THE FATHER to send GOD THE HOLY SPIRIT ,OUR COMFORTER to help us in our time of trial and need. WE ALL HAVE POWER IN THE NAME OF JESUS, WE CATHOLICS HAVE SACRIMENTALS WHICH ARE PHYSICAL TANGIBLE ITEMS THIS FLESH CAN RECOGNIZE AND BELIEVE…THE TRUE POWER OF THIS IS RELEASED IN THE UNSEEN REALMS. 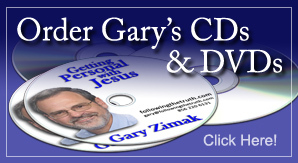 USE THE SACRIMENTALS… BLESS WITH HOLY WATER ,TELL THOSE YOU BLESS, WHY YOU BLESS THEM. WEAR THE SCAPULAR , GIVEN AT CONFIRMATION WHEN YOU BECAME A SOLDIER IN CHRIST. IT’S MOVING ON YOUR CHEST AND BACK IS A CONSTANT REMINDER THAT YOU ARE BLESSED AND THAT GOD IS WITH YOU , NO MATTER THE CIRCUMSTANCE. He will ask you for your will. When you give your will all the POWER IN HEAVEN IS AVAILABLE TO YOU HERE ON EARTH…………. I am a weak but loving son of Mother Mary and have been wearing the scapular day and night, showers too, since 1981. Over the years, several people have inquired about it but my most fond memory is of a young boy of about 8 years in age asking if I had an extra. I gladly gave him one and explained about the scapular and Mary’s love for us. About three years or so later my wife got a call from the boy’s mother explaining that her son had finally worn out the scapular and wanted another one. Having moved from the town, we provided her a source and although this happened about 15 years ago, I still think of it with great thankfulness to our Blessed Mother. There is just something about the scapular that is hard to explain. I have worn mine for about 4 years and it is faded and threadbare but it doesn’t make a difference. If I forget to put it on I am LOST. So fortunate to know that the Carmelite Monks of Wyoming are nearby. The Love of God and Our Mother is obvious and there for all. I wouldn’t be without it! When my oldest daughter received First Communion, the class was inducted into the Brown Scapular. Father explained it as wearing the Blessed Mother’s dress and that while wearing it, they belonged to her in a very special way. I also had a 3 and 2 year old at the time. My 3 year was experiencing night screams and would scream uncontrollably from about 2 to 4 AM. I could not wake her.The doctor was of no help and said she would grow out of it. He even insinuated that I wanted her drugged to sleep. So after giving it a lot of thought, I asked my priest if I could have my 3 and 2 year old wear the scapular. He said there was no age limit. So after explaining to my daughter what it was and why I wanted her to wear it and asking her if she would agree to it, she said she would wear Blessed Mother’s dress. The 2 year old had no objections. At night when she was screaming I held her and put the scapular she was wearing in her hand and asked Blessed Mother to comfort her. A few days went by and soon she was calming down and within a few short weeks, the night screams were gone. My 2 year old also understood what it was, wore hers like a trooper. There were my 3 little girls with brown scapulars hanging out of T-shirts, bathing suits, sun suits and I knew they were safe in the arms of the Blessed Mother. They still are. People asked and we simply told them it was Blessed Mother’s dress. We also said the rosary at night and when my 2 year old landed in the hospital and I was saying the rosary by her crib, she reached out for it and when I handed it to her, she took it and started saying “Mary had a little lamb” repeatedly. My kids aren’t angels, but they know who their Mom really is. I couldn’t have raised them with the brown scapular and rosary. I don’t know how I would have managed without Her. WOUND UP ON THE BED POSTS ALONG WITH THE NUMEROUS ROSARY BEADS!! GIVEN THE GIFT TO KNOW THAT HE IS IN HEAVEN,,, THANKS TO THE SCAPULAR!! THANK YOU MARY , FOR ALLOWING US TO WEAR YOUR GARMENT. I read through most all of the comments. I loved the article. I am allergic to wool. I wear a miraculous medal and a crucifix. Seriously, does that mean Our Lady would ignore me at the moment of my death? Really? Good article. I enjoyed reading the comments. God bless you all. Very well put, David…Thank you for sharing! My mother introduced me to Mary. As a child, my mom was given an Our Lady of Grace statue by a Catholic friend–but upon walking home she realized that my Southern Baptist Grandmother would not permit her to keep it; so she hid it in a rosebush in the back yard! Every day she would play with it and venerate Mary in her way. She gave birth to me in a hospital named for Mary, and, although a protestant, she was buried with her rosary. I have worn the scapular (brown) for thirty five years…as well as saying the rosary…and it is hard to imagine life without it! I love it and to hear and read the word of God, and to recieve Jesus in the Sacrament of The Altar. I look forward to that great Eucharistic feast someday in heaven as I approach my golden years. My mom had the right idea..she followed her heart to Mary. And a Catholic priest and friend was kind enough to enroll me in the Scapular–even though I happen to be a Lutheran. We recently celebrated the birthday of Mary in September…and now we are looking toward the birthday of her Son and God’s. Christmas was mom’s favourite time of the year…and I am blessed to remember all about her…and Mary does the same for all of us with her scapular I suppose. She puts her arm around us and says: “Now let me tell you about my Jesus! His birth…His circumcision….His Passion and Ressurection! In the end…..Mother’s always know what our hearts are asking. Thank you God for sharing your Theotokos with us…as we recieve our Immanuel…God with us.